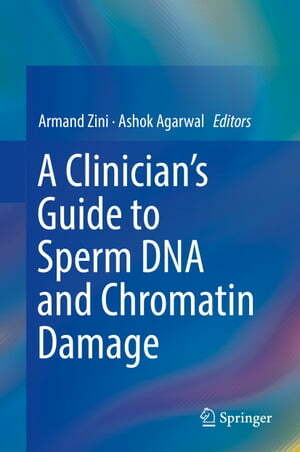 Collins Booksellers - A Clinician's Guide to Sperm DNA and Chromatin Damage by Armand Zini & Ashok Agarwal, 9783319718156. Buy this book online. This comprehensive, up-to-date text, which brings together the key practical elements of the rapidly evolving field of sperm DNA and chromatin abnormalities, is divided thematically into five main sections. Part I discusses human sperm chromatin structure and nuclear architecture, while part II presents laboratory evaluation of sperm DNA damage, including SCSA, SCD, TUNEL and Comet assays, and cytochemical tests. Biological and clinical factors in the etiology of sperm DNA damage are discussed in part III, including oxidative stress, abortive apoptosis, cancer, and environmental and lifestyle factors. Part IV presents clinical studies on the utility of sperm DNA damage tests, both with natural and ART-assisted pregnancies, and debates the clinical utility of such tests. Finally, part V discusses current treatment options, such as antioxidant therapy, varicocelectomy, advanced sperm processing techniques and the use of testicular sperm. We are now beginning to better understand the unique organization of the sperm chromatin, as well as the nature and etiology of sperm DNA damage. Written and edited by worldwide experts in andrology, A Clinician's Guide to Sperm DNA and Chromatin Damage is an excellent resource for reproductive medicine and REI specialists, urologists, reproductive biologists and any professional working with the infertile male.